Download SMS Bomber Apk Latest Version: Do you want to send hundreds and thousands of messages on your friends mobile to play pranks on him? 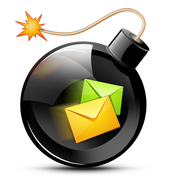 Are you searching for SMS Bomber app or best SMS bombing app for your Android devices? Or if you are searching for making lots of calls and messages to your friend's mobile number for making pranks then you are in the best place. We have provided SMS Bomber Apk latest version for your Android mobiles and tablets for free. With this app, you can make automated calls and send unlimited messages to your friend’s mobile number. This app will help you to send spam messages in bulk to any number which you like to send. But to make this app a healthy and restricted developer make some changes by restricted the app using between 12 AM to 5 AM at this time it will not work on these timing. There are lots of apps which are providing such services but those apps are charging money or they are full of ads but this SMS Bombing App is totally free of cost and free to use. Now you can download SMS Bomber Apk latest version from given link below and start prank your friends by using it. From below link, you can install SMS Bomber Apk for free of cost, just single click on it full latest version SMS Bomber Apk will directly download to your device's memory. We have listed some key features along with the details of this app, you can also jump on downloading link. Best ever 100% working and free SMS Bomber app for sending unlimited SMS and make calls on your friend’s mobile number which you have entered in it. There are other apps which are giving SMS Bombing prank services but they are charging high pay to such services, but with SMS Bomber App you can make it for totally free. Available for all type of Android devices, which have 2.3 or up version operating system can able to use this app easily. You will get the latest and updated version of this app from our website, but the latest version of this app is updated on 7 December 2017. You can send hundreds of SMS and make calls for free of cost on any number for free. You will see the best and awesome features of this app, just you need to install and check this for making SMS Bomber prank. Now here comes the downloading section of SMS Bomber Apk 2017, 2018 and will provide 2019 for free, from where you can download and install SMS Bomber app on your android mobiles and tablets for sending SMS and for making calls on your friend’s mobiles number for making pranks. If you unable to use or you don’t know about how to use this SMS Bomber Apk then we will make the video for using this app just you have to comment below and let us know. Just you need to install and enter a phone number, write your message and end your message on that number. Now you can proceed to download it from the given link below, sharing is caring please share this post with your friends and family.